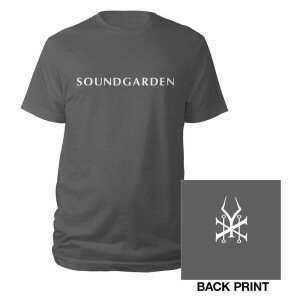 This Soundgarden tee features the 'King Animal' logo artwork on the back. Band name is screen printed on the front. Charcoal 30 single super soft 100% cotton.